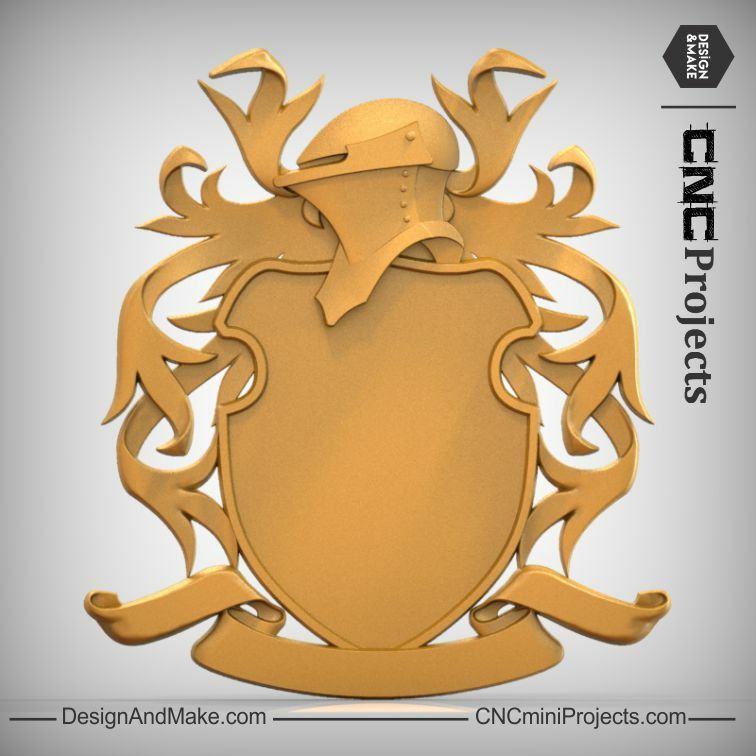 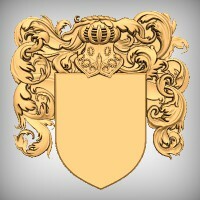 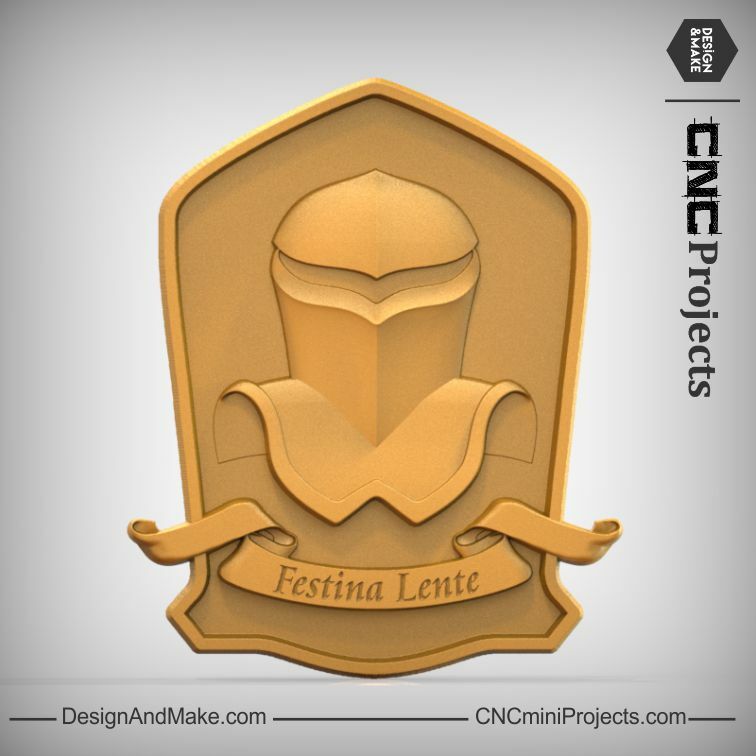 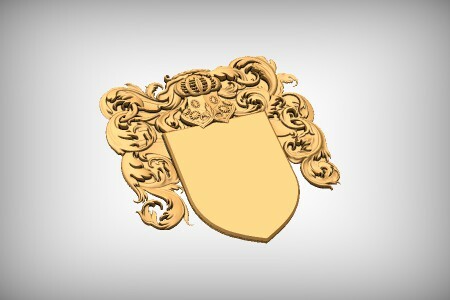 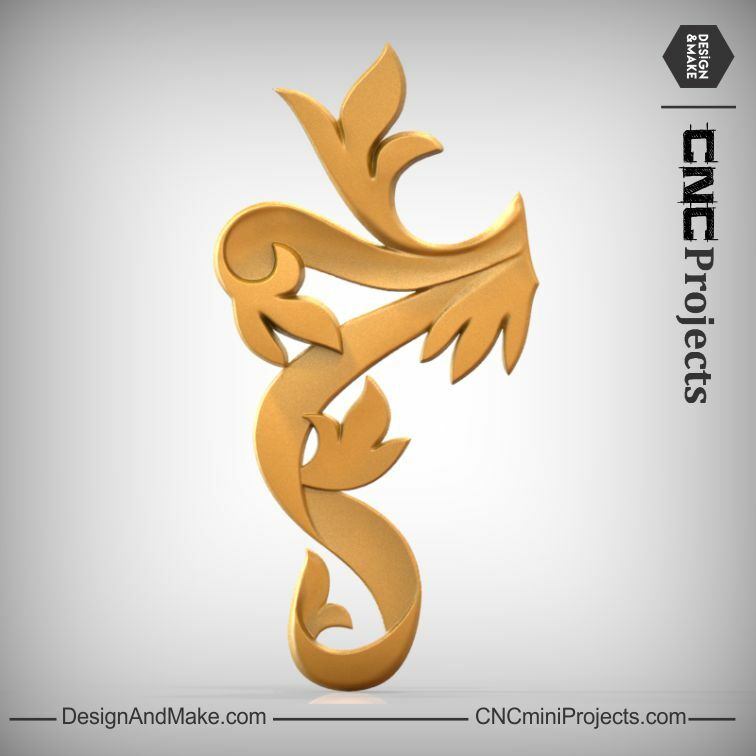 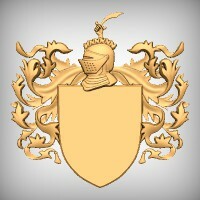 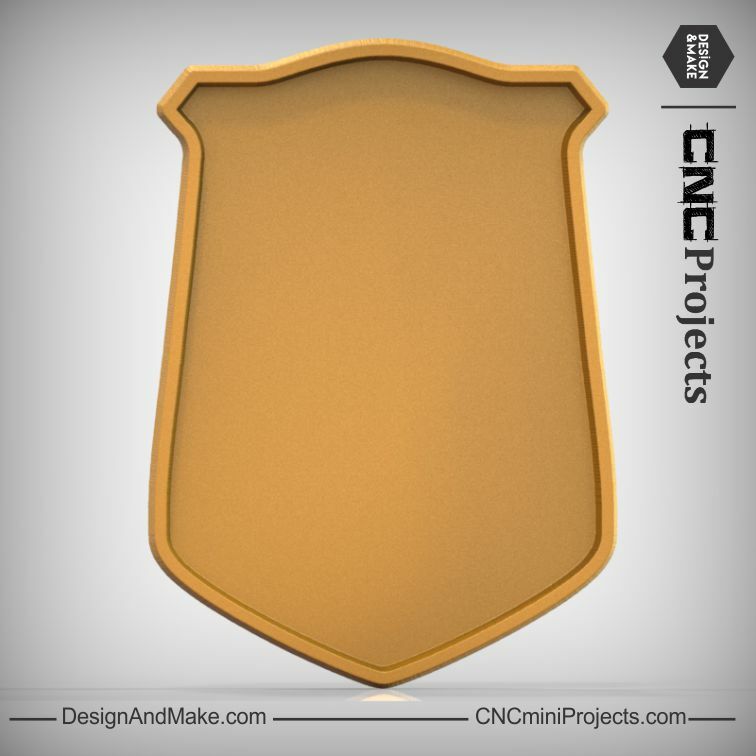 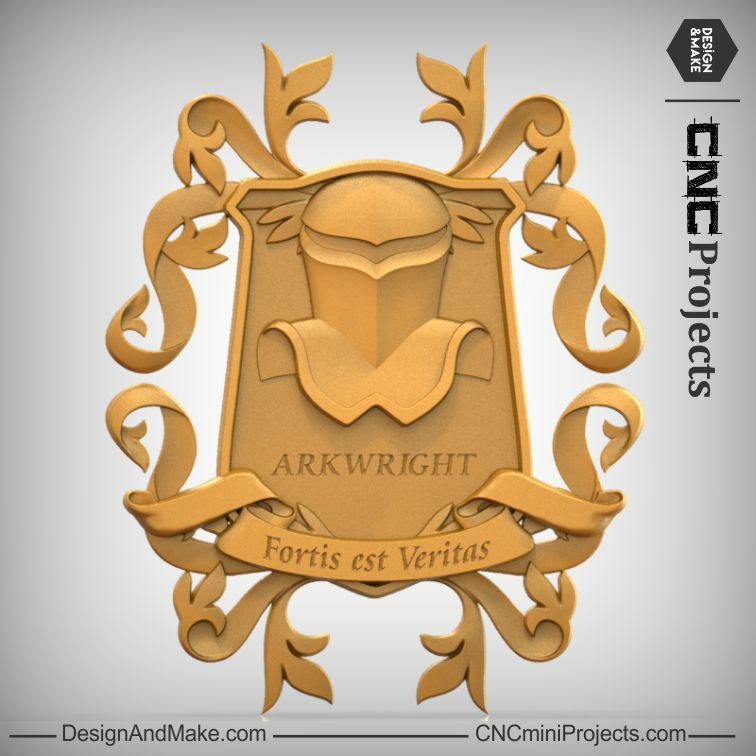 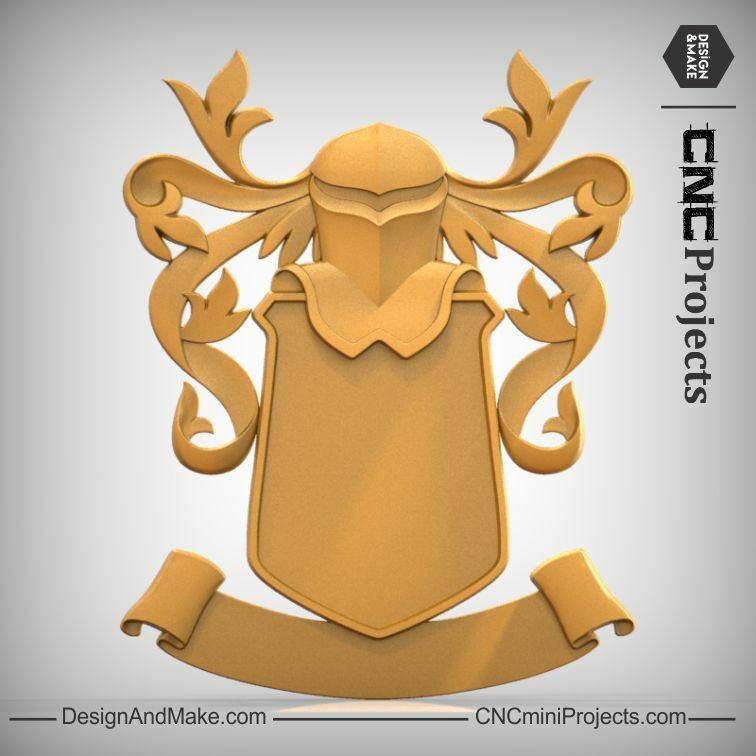 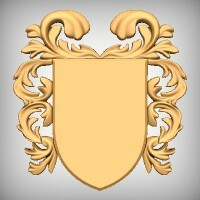 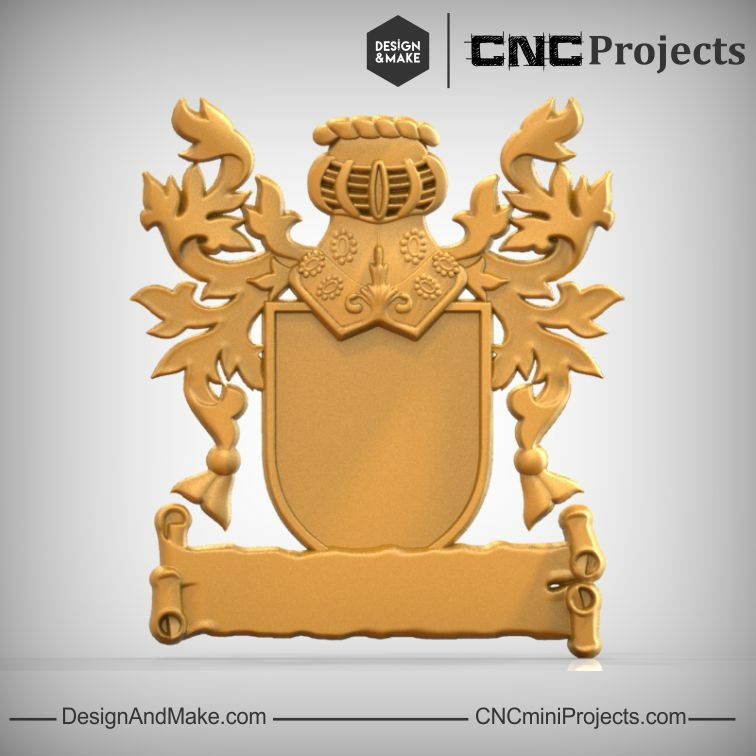 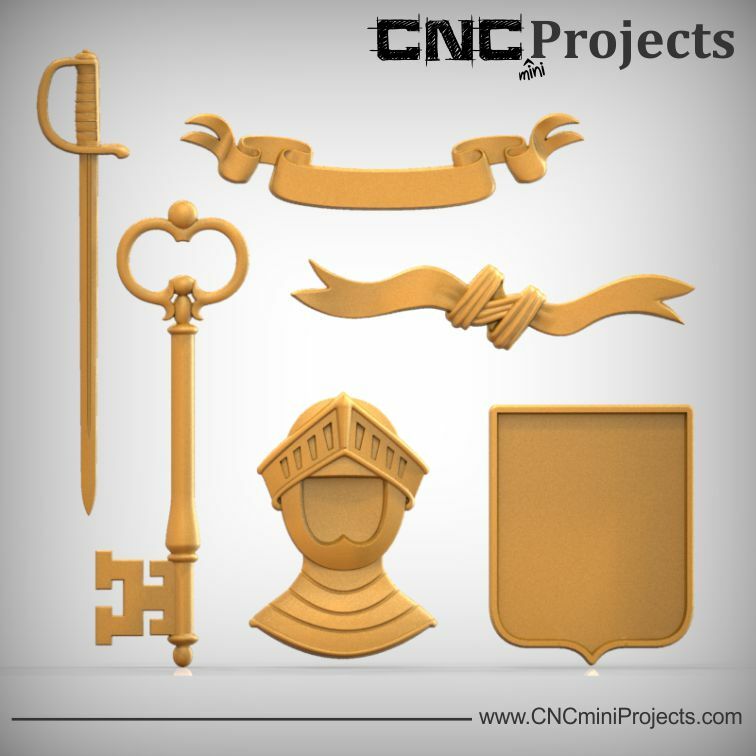 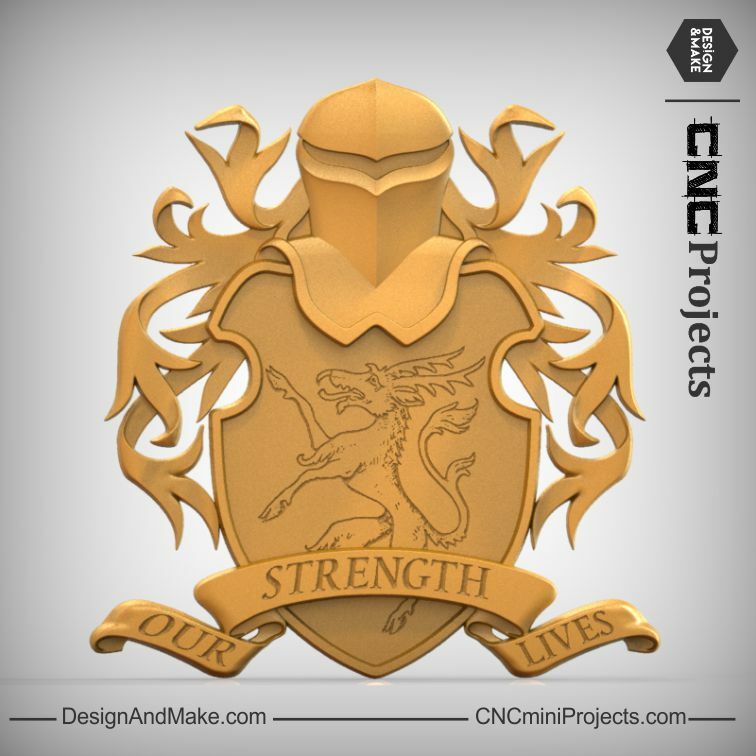 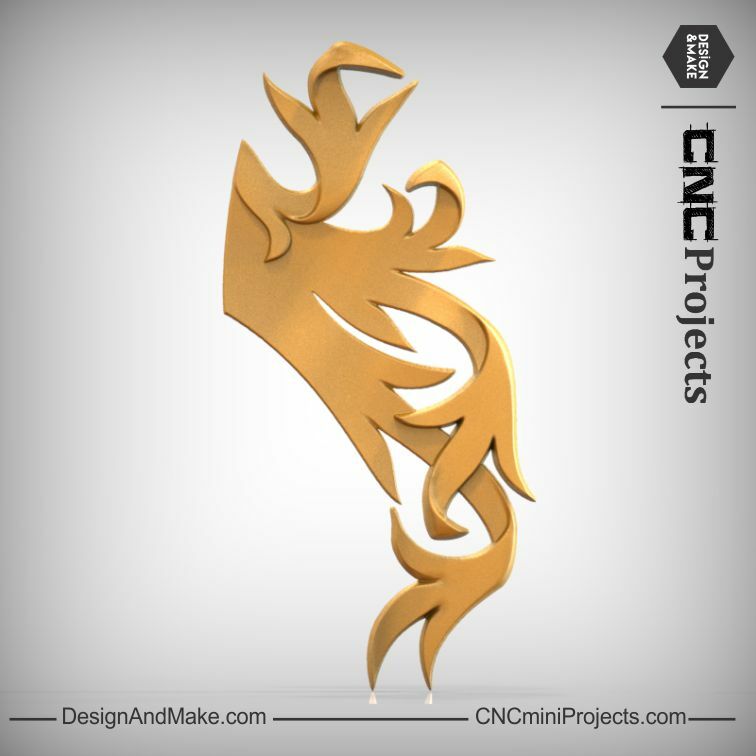 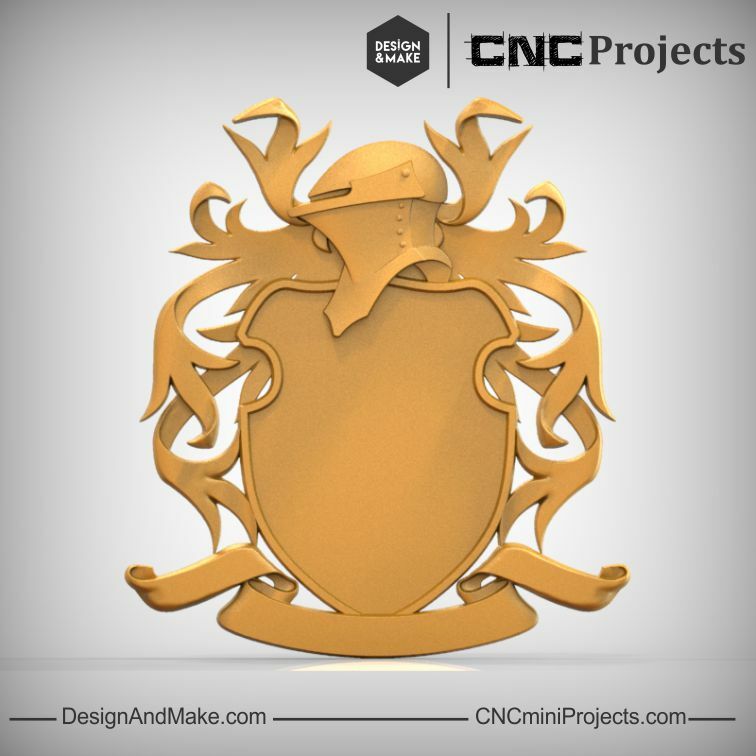 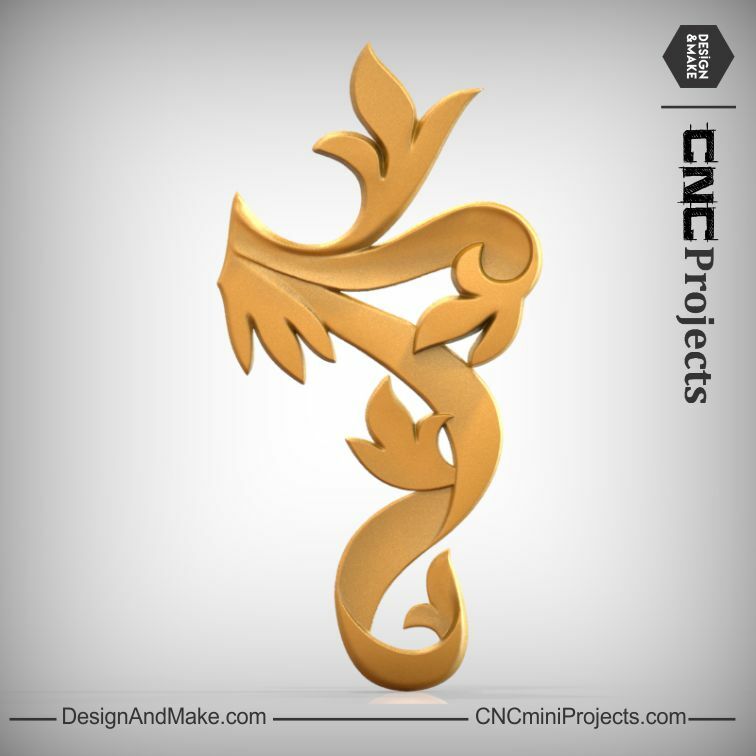 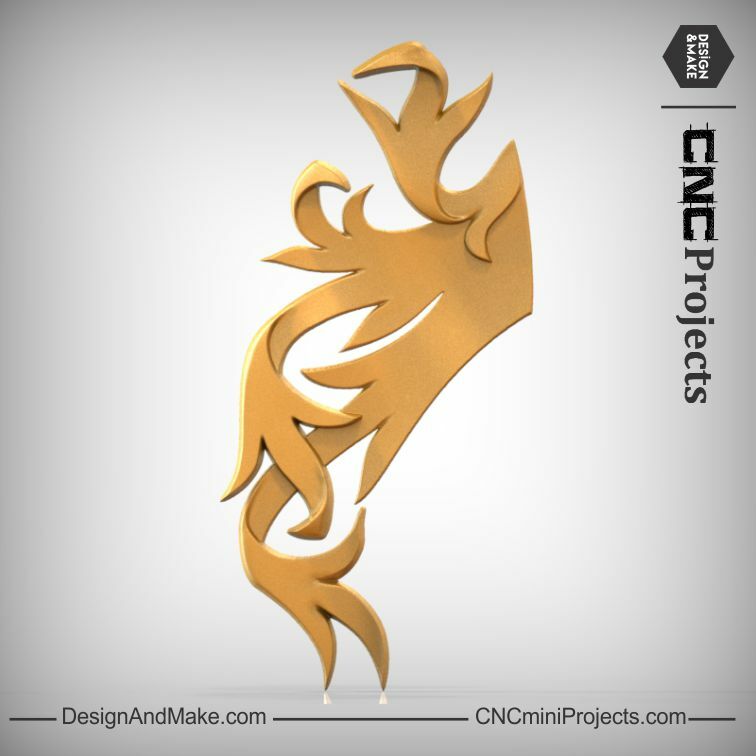 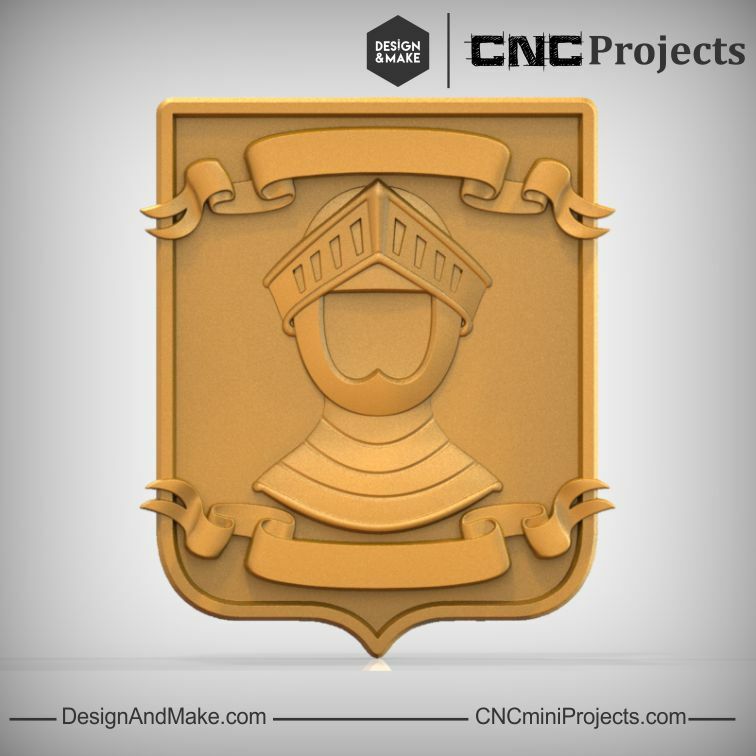 Our Family Coat of Arms No.2 project adds 10 more base elements to our coat of arms collection of projects. 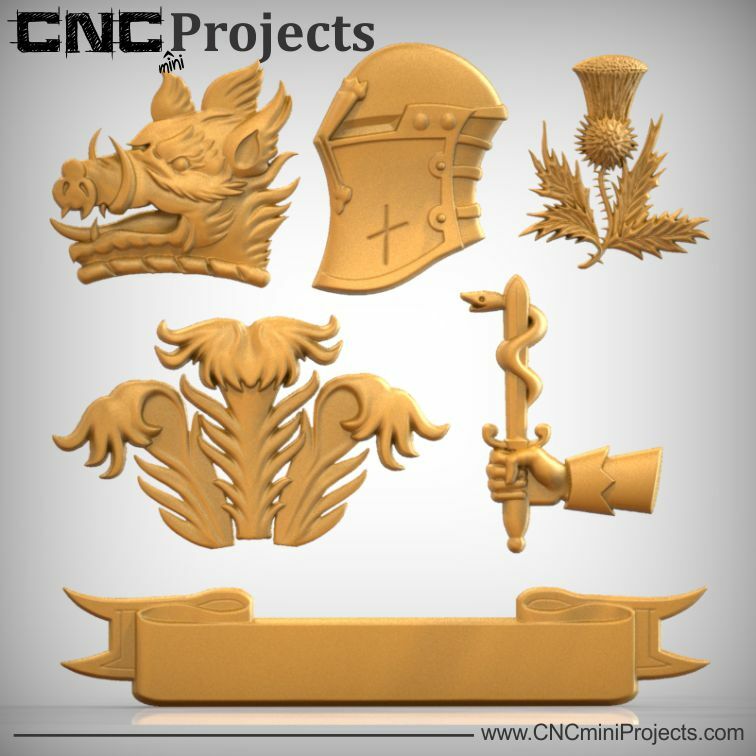 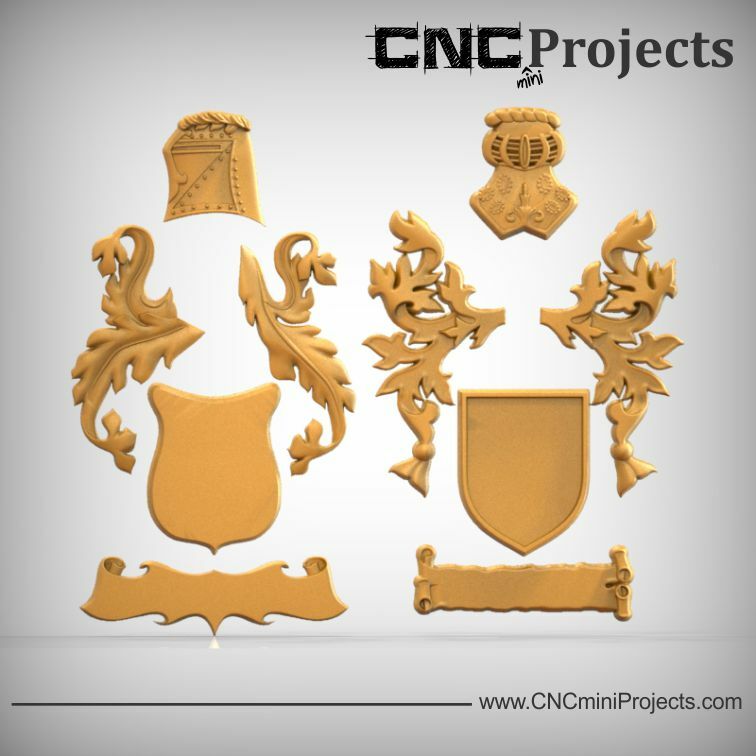 Like our first Family Coat of Arms project we have included 2 full coat of arms to give you a good start on creating your very own coat of arms quickly and then using the Achievement Packs (No.1 or No.2) you can dress them up to make them even more personal. 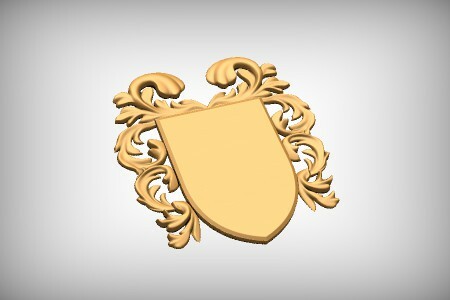 - Shields and ribbons accept V-Carving or even the addition of raised text. 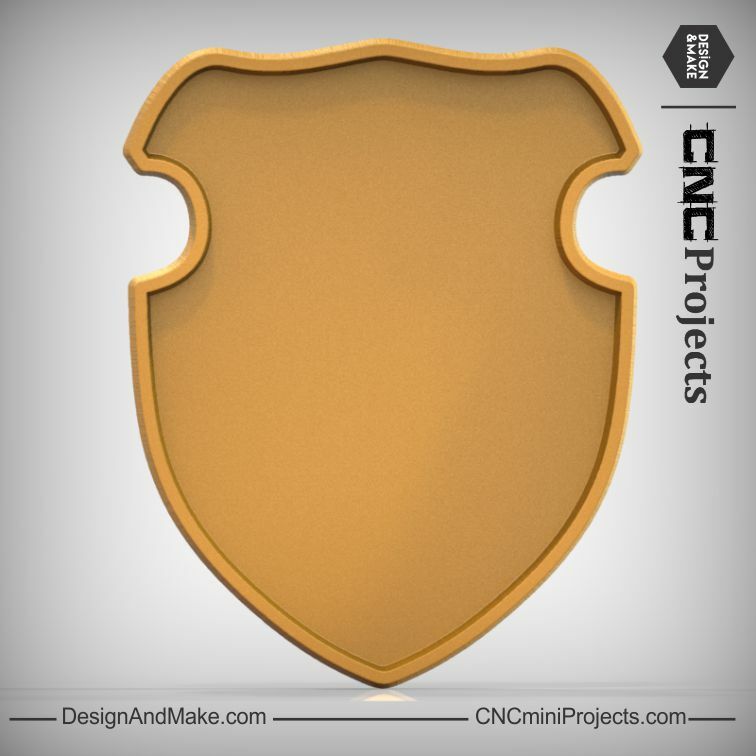 - Shields have a flat bottomed dished center so it will accept almost any model and will also let you get the most "Z" depth out of the added model. 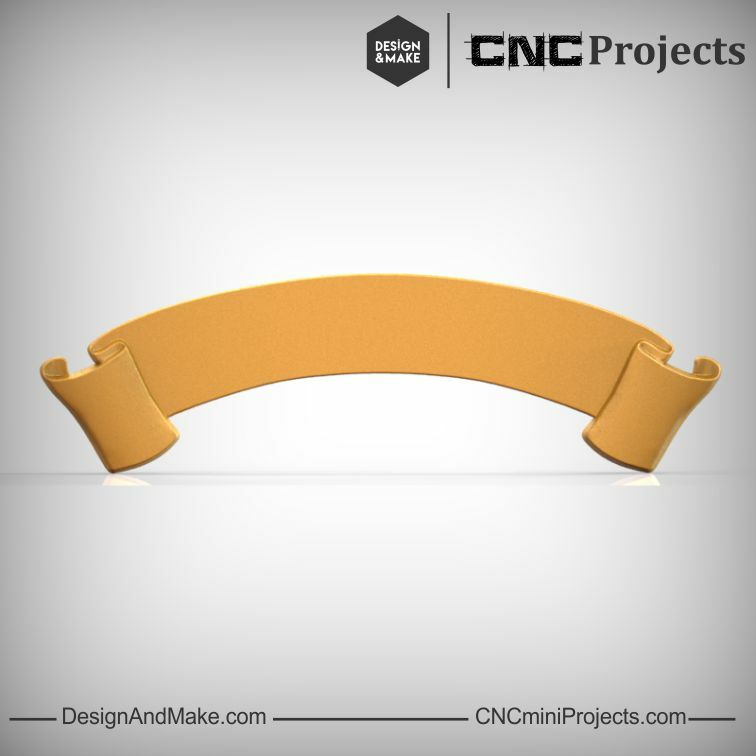 - Both ribbons have been modeled to wrap over or under other models to create a very interesting layout! 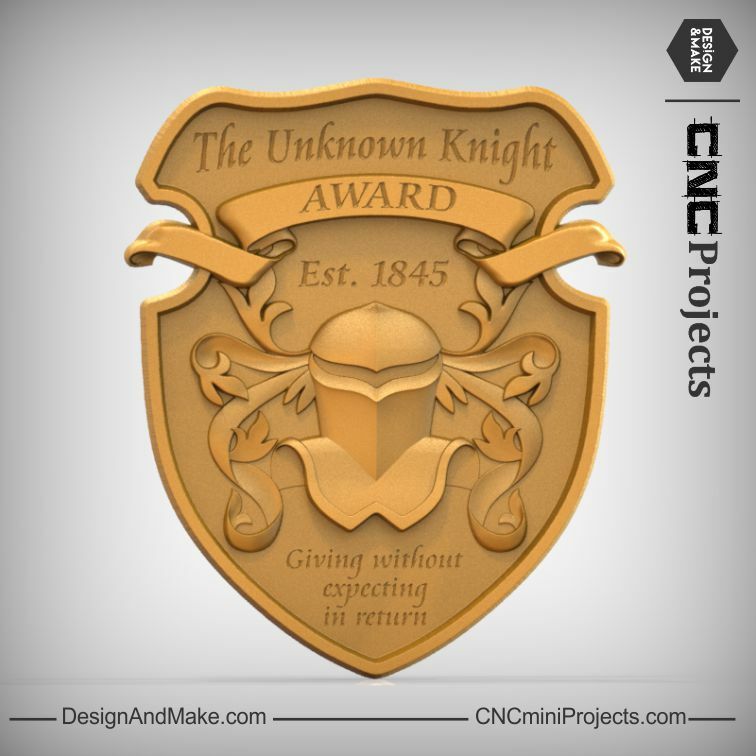 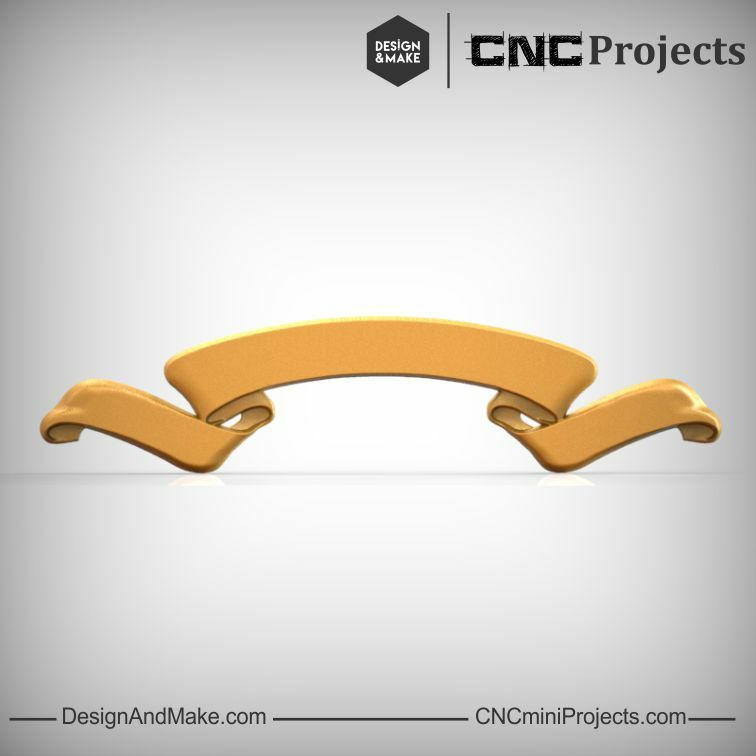 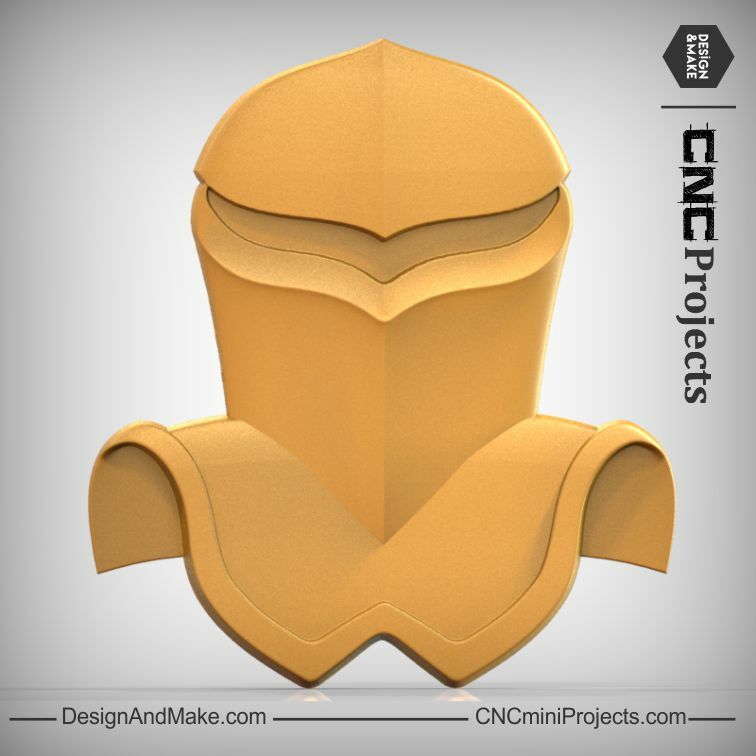 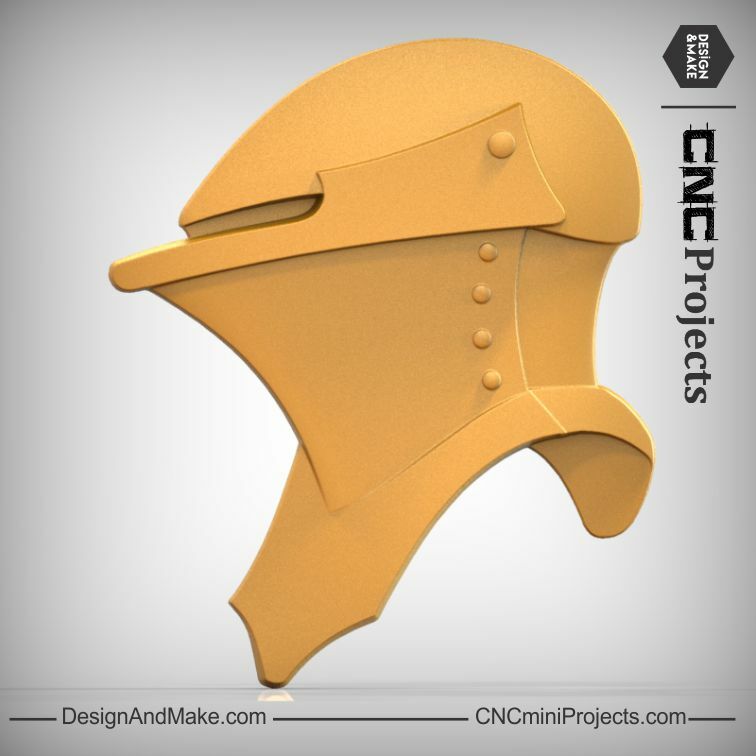 Put that sword and shield down and get that CNC warmed up it's time to create a little extra something to add to that catapult! 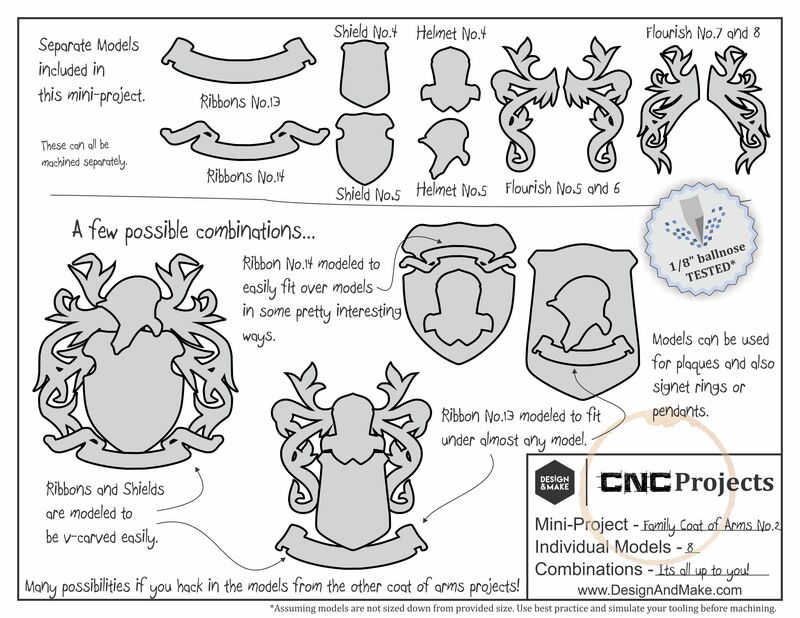 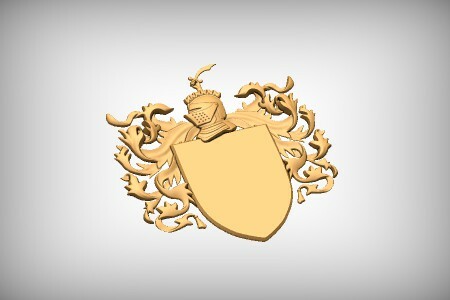 The Family Coat of Arms No.2 project contains the following models and project sheet.